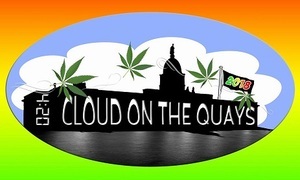 Today, the 20th of April marks an unusual date in the international calendar when cannabis activists across the world celebrate “4/20” or International Cannabis Day. Last year approximately USD $1.5 Billion worth of medicinal and recreational cannabis was sold lawfully in Colorado. Cumulatively, that amounts to almost USD $4.5 Billion in legal sales since regulation commenced on 1st January 2014. However, it is the tax revenue from sales which has captured the attention of state houses throughout the U.S. and beyond. Since regulation commenced, Colorado has generated $683 million in additional revenue, with last year’s total amounting to USD $247 million, the majority of which is earmarked for public school funding. Additionally, there are now approximately 18,500 people working either directly or indirectly in the legal cannabis sector in that state. 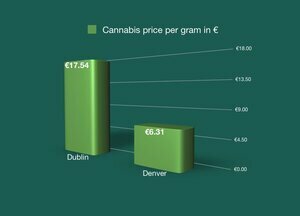 Another interesting point is that the price of a gramme of cannabis in the regulated states has been declining over the last eighteen months and the purchase price in Denver now averages about $7.79, which is in stark contrast to the $21.63 (€17.50) which a gramme commands on the illicit market in Dublin. Whatever way you look at it; the sliding price has had the added bonus of pushing the criminal gangs out of the cannabis market in Colorado as the margins are no longer viable there. The data from Colorado paints a rather bleak picture of just how much prohibition is costing Ireland not just in terms of revenue but also the day to day costs of prohibition in terms of prosecutions, Garda manpower hours, and court time. The actual size of Ireland’s illicit market in cannabis is anyone’s guess; estimates range from €700 million to €1 Billion. Statistics from the CSO tells us that there were approximately 16,880 controlled drug offences in 2017. Some 56 percent of those were prosecutions for possession of cannabis for personal use only under Section 3 of the Misuse of Drugs Acts 1977-2017. To put this in plain language, the majority of drug prosecutions are of individuals who possess cannabis for personal use. In a regulated market, that figure would dramatically drop saving the state a considerable amount of money. Furthermore, the cost of prohibition would be reversed into a tax positive as revenues from regulated sales would accrue to the state. Within the next few years, several European states such as the Netherlands, Spain, Portugal and Germany are likely to introduce regulation for adult use. The question is, what impact will this process of regulation have on the Irish government? The Irish State regrettably has a dubious reputation for being an outlier for social conservatism when common sense dictates otherwise. Given the sea-changes happening elsewhere, the government cannot afford to stand still as other states join The Green Rush and reap the enormous economic benefits that accrues from regulation. The solution is for the Government to introduce a comprehensive piece of legislation which regulates cannabis for both medical and adult use. To arrive at that point the government must accept that prohibition of cannabis has failed. Rather than reducing the supply of cannabis, supply has increased under the prohibition regime and demand has not abated. Put simply, the illicit market in cannabis exists because of prohibition. No drug has ever been made safer in the hands of criminal gangs or unregulated amateur growers. By ending prohibition, and implementing a strict regulatory framework, the state will at least offer some protection to those adults who choose to use cannabis and more importantly to those who are self-medicating out of illness and relying on illicit cannabis obtained from the black market. Regulation will transition the current unregulated and illicit market estimated to be worth approximate €1Billion per annum into a regulated market. If properly done, a regulated market could generate as much as €300 million in additional revenue for the state each year and create 15,000 new jobs by 2025. Additionally, regulation would have enormous social benefits, firstly it would take cannabis out of the hands of criminal gangs and amateur growers. Secondly, it would afford greater protection to children and adolescents who experiment with cannabis. In the illicit and unregulated market, there are no protections. Under prohibition, an adolescent doesn’t require an ID to buy cannabis, all he or she needs to know is where to buy it and when. Regulation on the other hand provides those protections by limiting access in a way that prohibition has failed to do. In the unregulated illicit market which currently exists, there are no health warnings on packaging, no content controls, no limitations placed on purchasing and no safety guidelines on growing. Regulation would change that for the better as Colorado has proved. Therefore, the time has come for the Government to do the right thing and initiate a Regulation of Cannabis (Medicinal & Adult Use) Bill. Incrementalism only delays the inevitable; delay now has a measured cost. Sensible regulation works, nonsensical prohibition does not. Only comprehensive legislation and well-considered regulatory rules will change that, and change it for the better. Today is as good as any day to remind them that change is in the air and on the streets across the world, as ‘cannabactivists’ mark 4/20 like never before. 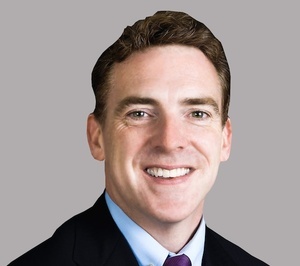 Niall Neligan is a Barrister and Lecturer in Criminal Law at the Dublin Institute of Technology. His research field is Drug Policy Regulation and Law Reform. Ain’t No Mountain High Enough Doobie, Or Not Doobie Mammyuana Free Friday? Posted in Misc and tagged 420, Niall Neligan at 11:10 am on April 20, 2018 by Admin. Counter argument: Tobacco and alcohol are regulated and they cause a sea of untold misery. Uh, the same counter argument works. Ban alcohol and you’ll be drinking poitin from your aunties bath tub. Alcohol isn’t that hard to make. Tobacco wouldn’t be that hard to smuggle in. Worse substances would replace the regulated sort, not regulated for safety, and all profits going tax-free to criminal gangs making it and none to the health services dealing with it’s abuse. That’s before getting to the argument that because a minority in a group abuses something like alcohol, collective punishment is a pretty hamfisted instrument. I’m so sick of the hand-wringing and self-flagellation around alcohol, it’s so po-faced and hypocritical. (some) cars knock people down. It would certainly cut down the crime rates. Drastically, I would imagine. Jake 38…. Cannabis is safer than alcohol and tobacco, you dummy! Look up the Lancet which did detailed research into this. So stop pedalling the myth. Great article, hits all the major points. Regulation of cannabis is inevitable. Why narrow the point to cannabis. It is equally applicable to all substances. defo should be medicinal weed here. without question. it’s crazy to not have it. BUT.. As for opening selling it in cafes like how Amserdam do .. I don’t think we should. I smoke every night and have done for the past 20 years. In that time I’ve introduced it to people who have gone on to smoke it habitually, and it totally stops them doing things. They don’t wanna go anywhere or do anything. Also, I now can’t sleep without it. It’s not as relaxing and chill as people may think. and we are a country where in general our psyche is to be addictive. If it was freely available more people would smoke, and more people would abuse it. That’s how we are. I’ve seen it, not destroy lives, but totally makin people lazy. Not everyone, but it happens. Regular user here and I am always early, get up around 6AM and work a full day, many late ones too. The thing is, NOBODY knows I smoke it except for a few friends. You probably work alongside people who use it and never know – its only the morons who overuse that have issues. I would imagine that a lot of people who overuse alcohol are late too. Like alcohol, if used in moderation, its fine, like anything else, overuse creates issues. People have the belief that because it doesn’t leave one with a banging headache and nausea they can smoke as much as they like – the cannot and should not. I smoke it the way I drink alcohol, moderately. Like all the sensible users I know. Modern technology is wonderful, I’ve 2 years of daily data that shows a very clear before and after cannabis. Short story weird heart thing that caused very dangerous hypertension. Daily personal ECG, continuous and blood pressure monitoring since. Crap loads of medication (€70 a month) with just about satisfactory results. But side effects too. Weight gain, water retention none of which helped. Old back injury reappears due to weight gain but can’t have ibuprofen as increases blood pressure so onto the codeine. Add in frequent night toilet visits due to water retention and sleep deprivation. Two months ago decide to self medicate with daily smoke. Two weeks later blood pressure is stable in very good. Daily heart freak out gone. Resting heart rate stable. Back pain gone. I month in stop taking medication. All results stay stable and healthy. Two months later printed off before and after graphs for cardiologist and explained where I was and what I was doing. He thinks it’s great and just says to email after 6 months to show still normal. I’m back to sleeping and exercising and I don’t need to crap myself daily about a stroke. It could be placebo effect, but I don’t care it’s worked. I’m far more productive at work that I was on codeine and beta blockers as I’m getting proper nights sleep. And it’s cheaper than the medication and cardiologist visits. Thanks Janet. I wasn’t allowed more than a walk for a good while mostly because they didn’t know what was going on. Now I jog to the 24 hour garage for munchies. You realise that your entire post was unintelligible meandering garbage, Listrade, right? JOKING! 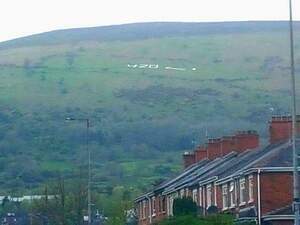 Well done: glad you’re on the mend. pretty much all of them began on codeine. I swear that the tylex was harder to get off than the cigs. But I do miss the naps. Like laying on a bed of freshly washed kittens all purring their approval. Very dangerous snare is codeine. Where is weed being sold for that price? The reality is that it will be legalized and will earn tax revenue. One might ask Leo if he ever tied a puff……?